I just wanted to take a moment of your time to give you an update on our little Maddy’s prayer. In my previous blog, I discussed how our three-year-old daughter prayed from her heart and gave her desires to God. This particular prayer was for a pony. Her older siblings kind of laughed at her even mentioning it in her prayer. I am here to report that the following is a picture of Maddy’s new pony. No, this was not what the rest of the family had in mind when we heard Maddy’s prayer. 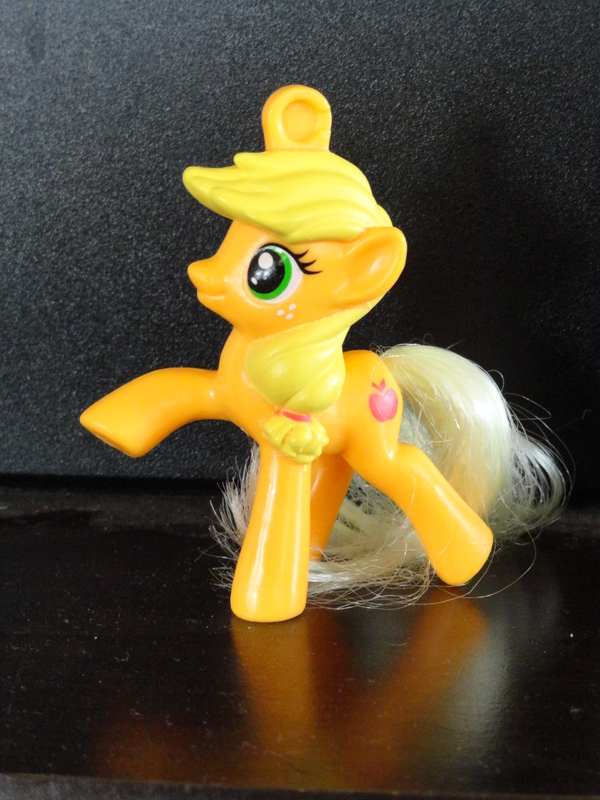 However, I cannot begin to describe the sheer joy she expressed when her happy meal contained a pony. This was exactly what she had been wanting. Maddy taught me a very valuable lesson about prayer. I need to lay my desires, no matter what anyone else may think, at Jesus’ feet. He will take them all, both big and small, and answer them in His timing and in His way. I simply need to ask and then trust in Him to do what is best and not question. With Easter right around the corner, I want us all to remember that God loves us more than words can begin to express. He gave His Son for each one of us, even the ones that do not know or love Him. However, the story does not end with the cross. We need to not limit God in our minds. He can do anything. Over the course of the next few days, I am going to be blogging about the cross, tomb and resurrection. I encourage you to take a few moments to read and reflect on what this all really means and then share it with others. I really enjoyed this blog. I have been struggling lately with whether to pray for the true desires of my heart or not. I knew God already knew them, but to pray for them seemed scary at times. What if He doesn’t answer? What if those desires aren’t a part of His plan? Praying for them and then not receiving them would hurt so much that I didn’t want to pray for them at all. But lately, I’ve realized I have to pray for them. They are desires so strong that I know only God Himself could have placed them deep within me. And no matter how difficult it may be at times, I have to trust that He will fulfill my heart’s desires in His own timing and way. Thanks for writing.